Community Care Nursing Services, Inc. is committed to high standards of quality in healthcare and professional ethics. Working in cooperation with medical providers and case managers, we offer a sensible, safe, and cost effective method to provide comprehensive and personalized professional health care. 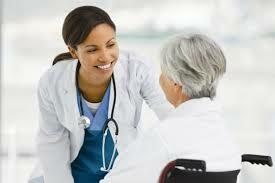 Community Care Nursing Services, Inc. is committed to the principle that patients come first. We emphasize active partnerships with patients, families, medical providers, community resources, insurers, and healthcare facilities. Community Care Nursing Services, Inc. believes that a patient’s recovery is facilitated by creating a safe, supportive, and professional environment in the home. We believe that patients should have the right care, at the right time in the right setting. Community Care Nursing Services, Inc. believes that comprehensive health care is best provided by networks of health care professionals who are willing to be held accountable for the quality of their services and the satisfaction of their patients. Community Care Nursing Services, Inc. believes that health care decisions are the shared responsibility of the patients, their families and health care professionals. We encourage the healthcare providers to share information with patients on their medical condition, health status, and treatment options. Community Care Nursing Services, Inc. believes that working with people to keep them healthy is as important as making them well. Therefore we value prevention as a key component of comprehensive care to reduce risk of illness and treat small problems before they become more severe. Community Care Nursing Services, Inc. values our clients, referring case managers, community, and all partnerships we have made since our existence. We believe in giving back to the community in which we serve and strive for medical excellence. Our nurses are culturally competent and are given in-services and training on healthcare advancements in the field of nursing.